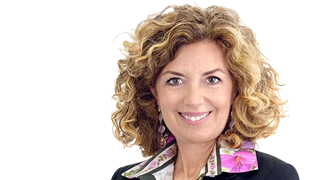 Adele Genoni joined the EFI team in March 2016 as the Vice President and General Manager of EFI Reggiani. Genoni comes to this position with a Masters degree in Industrial Engineering and over 20 years of success in international commercially focused industrial, petroleum, chemical and automotive manufacturing and marketing. In her current role, she is responsible for the Reggiani unit’s financial performance, bringing new products to market, driving operational excellence, cultivating key partnerships, and building brand equity. Adele is a passionate executive who strives to lead by example and inspire results anchored in trust and respect. Her diverse and technical background has proven to breed success in this division of EFI, as Reggiani is focused on providing superior products using sustainable and green processes. Propelled by Genoni’s unique skillset, these qualities have helped Reggiani emerge as a global leader in integrated solutions for the textile world and as the premier manufacturer of both digital and traditional printing machines and pre/post treatment machines.